Ab lives in Dallas/Fort Worth and became a member of ACNA in 2016 shortly after purchasing his first Audi, a 2013 TT RS. Since then he has been active organizing local events and helping to grow the local Audi community. Ab is a seasoned leader as a Design professional and bases his style on servant-leadership principals. Organized and detail oriented, he is committed to growing Audi Club Lone Star and member experience through a variety of events, organization of the state meet, and networking through social media. In the search for his perfect new car, Josh test drove many different brands. The minute he stumbled upon the Audi S5, he knew it was the perfect car for him. Since then, Josh have been hooked on anything with the Audi emblem. As his passion for all things Audi grew, Josh knew he had to be around like minded car guys; so shortly after the purchase of his Audi in May 2013, he signed up with the club. Since then Josh has been reveling in social events, hot laps, happy hours and state meets where he gets to enjoy his new-found passion. He has always been a car guy, but since owning his Audi and participating in ACNA/ACLS, it has been elevated to a whole new level! Josh has never been particularly outgoing in the social arena, but something about the excitement and thrill of owning and driving an Audi compelled him to share his enthusiasm and passion for the brand. Josh looks to increasing the awareness of ACLS in the Austin area, maximizing the Austin area’s participation in local and regional ACLS events and developing lasting relationships with local Audi dealerships to promote the benefits of ACLS membership. I am a passionate Audi owner of 10 years, and have been a member ACNA since 2013. My interest in joining the club spurred from my desire to meet more like-minded car enthusiasts, and both share and increase my Audi knowledge. My decision to become a member was solidified by the camaraderie and passion of those in the club. I enjoy working on my cars, whether it is preventative maintenance or installing modifications. My current garage contains a B6 1.8T A4, Ford Mustang Performance Package GT, and a 1983 Chevrolet Silverado. I believe the best way to enjoy a car is to drive it and drive it hard, so I do my best to participate in a track day at least once a month. I plan to use my accounting and finance background to ensure the chapter is operating in a financially efficient manner, and offer new ideas and suggestions to better the club processes and activities. I hope to entice current members to be more active in local, state, and national events, and enhance the visibility of the club to the Audi community at public events and online. My ultimate goal is to increase the membership both locally in Houston, but also statewide, and help the Lone Star chapter fulfill its mission to provide unique experiences that enhance the enjoyment of owning an Audi. Vorsprung durch Technik! Born in Puerto Rico on a Valentine’s Day of 1986. His father from Puerto Rico and mother from Colombia met in Germany and a year later Alexander was born. Since young Alex was passionate about European cars. His first car was a Volkswagen GTI 1991 16v 2.0L. During his high school years, Alex formed the Audi & VWClub of Puerto Rico and years later became EuroCrewPR. In 2008, Alex and his team produced the first European Car Fest event in Puerto Rico. During that period, Alex acquired his first Audi S4 B5 Imola Yellow and an Audi A4 2010. Five years ago, Alex and his family moved from Puerto Rico to San Antonio, TX to continue with his industrial engineering career by joining the government. His hobbies are the German cars and autocross racing. In June of 2018, he was appointed Secretary of Audi Club Lone Star. Stephen, retired after 40 years in the IT industry, brings a wealth of experience to Audi Club Lone Star. He was literally born into the automotive industry, being the son of Ralph Clark of Grand Prairie, Texas, who owned an auto parts store on Main Street from 1946 to 1979. Moving to Houston in 1970, he bought his first German car, a Porsche 914, and his love affair with Teutonic machinery began. After modifying a Porsche 924 with aftermarket turbo and acquiring the Texas license plate SCHNEL, he felt the need for a four-door car to accommodate his growing family. This resulted in the first of three five-cylinder Audis, a 1983 5000S. After a 1985 5000S, he upgraded to a new 1989 Audi 100, which he still preserves today, and shows at Audi Club Lone Star events. The car now has over 340,000 miles, and the engine has never been opened. Mr. Clark enjoys all forms of motorsport, including Formula One, Le Mans, Indycar, and SportsCar racing. Joining the Lone Star chapter of Audi Club of North America in 2013 affords him access to Audi Car Corrals and Motorsport Experiences at the Circuit of the Americas in Austin, Texas. He became a volunteer for ACLS, and in January 2016 was elected to the Board of Directors as Secretary of Audi Club Lone Star. In January 2017, he assumed the role of President of Audi Club Lone Star. In December 2018 he completed his term on the Board of Directors. Matthew is extremely committed in helping take the Lone Star Chapter to its maximum potential. He is currently a director within an IT firm located in Dallas Texas. Matthew has been an Audi owner since late 2004. He was fortunate to be introduced to the Audi brand by friends at the time, and now a fan for life. Over the past 12 years he has had numerous Audi’s, starting with a used A8 and most recently a TT-RS. Whether fast or slow, big or small, Matthew love these cars. He has been a member of NTAG since mid 2010. During his time in the club he has participated in events and also played an active role in club leadership. One of the things Matthew enjoys the most about having an Audi is going for spirited drives or trips to distant locations. His absolute favorite thing is going to the track. Driving these cars and taking advantage of the engineering/performance is a great feeling for him. Also, aside from driving, going to events with other like minded Audi enthusiasts is a great experience for him. Matthew believes that in order to be a successful organization, we as a club must focus on the following 3 areas: Raise brand awareness and bring more people into the Audi family; Create an open environment for Audi enthusiasts to socialize and communicate; Provide members the opportunity to enjoy their Audi’s to the fullest! His story is simple… Benson is a fan of all things Audi. From the expertly crafted vehicles to the reigning motorsports dynasty. Together with his wife, Benson purchased their first Audi while living in NC, a Q5 Offroad Edition and shortly thereafter a B8 A4, in 2010 and the passion surged. Fast forward to today, they have a 2017 Q7 and C7 A6 3.0T in their stable. Benson is originally from NC and is currently a Hospital Department Manager for the military. Enough about his cars and home life, this is about his passion, Audi. Benson has been an active member, Events Director and Chapter VP in San Antonio for a few years, helping coordinate lunches, dinners, hill country drives and even other events with the local dealer. 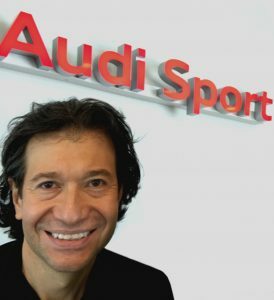 His goals has been focused on simply improving the ownership experience that is already in place with club awareness, owner-to-owner / owner-to-dealer networking, and esprit de corps for Audi. With that said, he is an Audi owner and loves it. If there is anything he can do to improve the Audi ownership experience as a whole, he’s all in. Although being transferred by the military to Georgia in June 2016, Benson continues support to the entire Lone Star Chapter by volunteering under the newly formed Emeritus Advisory Board. Self-proclaimed Audiot and motorsport enthusiast, Aaron has served on the board since ACLS’s inception in 2013. A long-time VAG product owner and enthusiast, Aaron has been active in Volkswagen and Audi activities for more than 10 years. 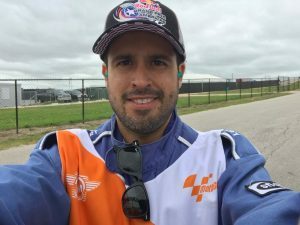 Based in Austin, he has focused on marketing and communication of chapter functions as well as the organization of our COTA-related events which fits his rabid Audi motorsports obsessions (e.g., watching WEC, DTM, Blancpain GT, TUSC, PWC at all hours). These interactions have fostered relationships with COTA staff, Audi dealerships, and Audi Sport Customer Racing teams that have been a fulfilling part of working in the club. He moved to Austin from Philadelphia in 2009 transitioning out of pharmaceuticals and into software development and currently serves as Vice President at an Austin-based software company leading the operations and driving the company’s technology direction. He is passionate about the Audi brand and currently owns two Audis, a B7 A4 APR Stage II+, and a stock Q7. He is an avid supporter of all things Audi and has foregone long walks on the beach for karting, modifying/tracking the B7, and interacting fellow Audi and motorsports enthusiasts. Most recently, he was elected to the Board of Directors of ACNA to foster ACNA’s charter and evolution. Eric has been a fan of Audi and Audi Sport for many years. The A5 and S4 models have been parked in his garage over the years and he look s forward to owning future offerings from the four rings. He has been an active participant with NTAG for over 7 years assisting other BOD members with event coordination and development. Sunday drives, monthly dinners, track days, toy drives, and state meets are just a few of the types of events he’s attended or assisted with over the years. Eric looks forward to continuing to support the improved ACNA Lone Star Chapter, its events, and its statewide members. Originally from Minneapolis, MN, Anita moved to Leander, TX (northwest suburb of Austin) in September 2015 and began attending ACLS monthly lunches in February 2016. You might have seen her monsoon gray B8.5 S4 (which is usually dirty due to living in a neighborhood with ongoing construction). As a new Austin-area resident, she loves taking in many great racing events at Circuit of the Americas, especially Formula 1. Anita’s first Audi was a CPO A4 Avant 1.8T quattro, which turned out to be a gateway to adventures and friendships she never could have predicted (check out her member profile from Oct 2016 for some stories). It has been about 10 years since she first became involved with the Audi Club through a driving clinic hosted by the Glacier Lakes chapter. Since then, she has participated in numerous track days, ice driving clinics, and social events. She also served as secretary of the Audi Club Glacier Lakes Board of Directors, Driver Education committee member, and driving clinic instructor for 2 years. Major achievements during that time include: helping streamline and codify procedures for teen driving clinics, winter driving clinics, and high performance driver education (track) events and leading efforts to proactively increase member engagement through social event planning for the year 2015. In her eyes, Glacier Lakes and Lone Star chapters have different challenges: ACGL, formerly known as the Glacier Lakes Quattro Club, was the original ACNA chapter and has a rich history of driving education, social camaraderie, and partnership with other car clubs. Its members were concentrated in a relatively small area with one major metropolitan center. ACLS, on the other hand, covers a vast and varied geographical area with several large cities, and most of its events are of a social nature. Anita would like to build on the chapter’s progress in fostering the community of Audi enthusiasts and introduce new and exciting ways to engage members, including driver education events. Finally, she looks forward to meeting more club members – she wants to hear your ideas and encourage and enable you to step up and volunteer your expertise to make the club a richer experience for all.